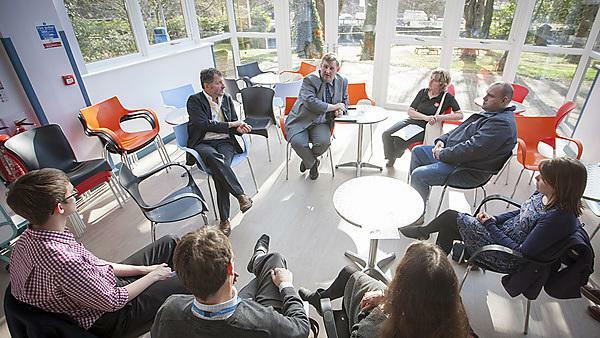 A visit by Oliver Colvile MP to the Cumberland GP Practice and Dental Education Facility in Devonport has highlighted the need for more joined-up health and social care for the most vulnerable in Plymouth’s community. Representatives from Plymouth University Peninsula Schools of Medicine and Dentistry, Harbour Drug and Alcohol Services, Plymouth Community Housing and Salvation Army described how they are already trying to work together, but how with additional investment and the introduction of a ‘task force’ more could be done. Plymouth is unusual in having such a wide mortality gap across the city – some 14 years. In areas where the average age of death is lower there is a complexity of need, with health and social issues combining to create individual ‘perfect storms’. Those who met with Mr Colvile explained the difficulties facing individuals needing support. Often health, care and social solutions are disjointed and available from different areas of the city. "I gratefully accepted an invitation from Dr Ayres to attend the Cumberland Centre in order to have a more detailed look at the work going on there. While it was a pleasure to see the medical side in action, as well as meet with some students, I also really appreciated hearing about the other areas in which the staff at the Cumberland Centre are working in order to make Plymothians healthier. I also visited Devonport Dental Education Facility to speak with students and patients and went on a short tour of the site." The Cumberland GP Practice is an innovative approach to providing primary care and health profession education in one setting. Established by Plymouth University and Plymouth Community Healthcare, it was the first joint venture between a higher education provider and a primary care provider to address health inequalities where there is need, and to combine that with hands-on training for the medical, nursing and other healthcare profession students. The Devonport Dental Education Facility (DEF) is managed by the Peninsula Dental Social Enterprise and is where Plymouth University dental students treat NHS patients under the supervision of qualified dental health professionals, as part of their training. It is also the focus for a variety of community engagement activities. Like the Cumberland GP Practice, the DEF programme (comprising four DEFs across the region in Plymouth, Exeter and Truro) combines health profession training with addressing oral health inequalities and is the first example of its kind in the UK.